I assume the environment to be Windows 7 Professional, IIS 7. something. This error is caused when the directory browsing feature is disabled and or the default page is not properly set. To sort out this issue go to IIS Manager. Open Directory Browsing. Now click Enable from the options available on the right side. Restart IIS. Right Click on the App in the Default Websites tree. 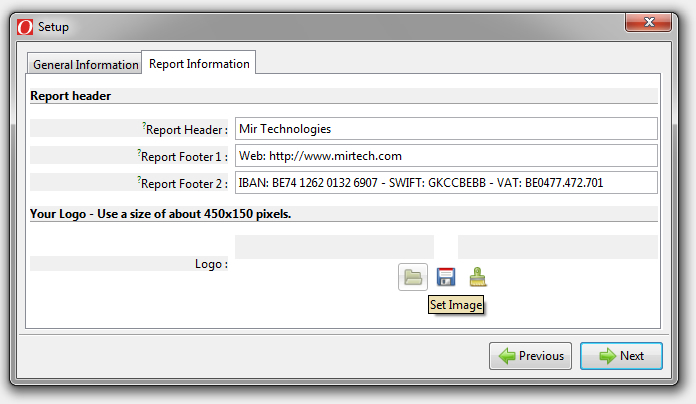 Click Manage Application , than Browse and Wala. The site will automatically start working. If there is still problems, check the default pages. if you have a default page other than the pages listed in the default page list. Add ur default page and check again. Site will be working. Installing & Configuring OpenERP on Windows for the first time. 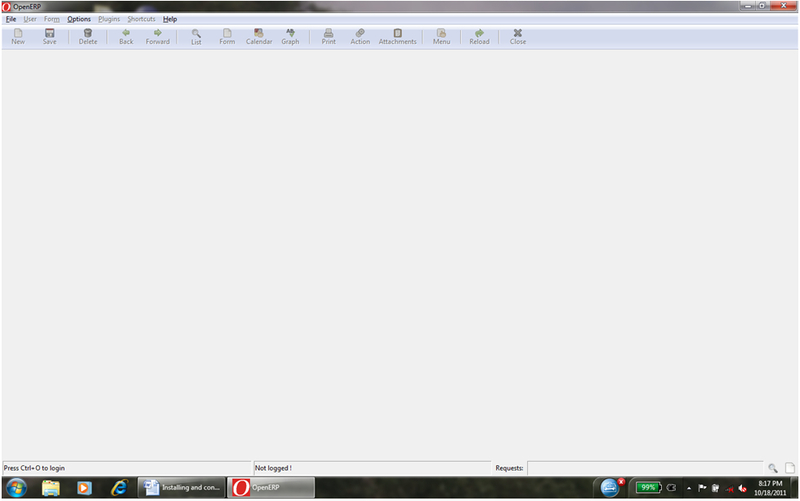 Download OpenERP All-In-One. 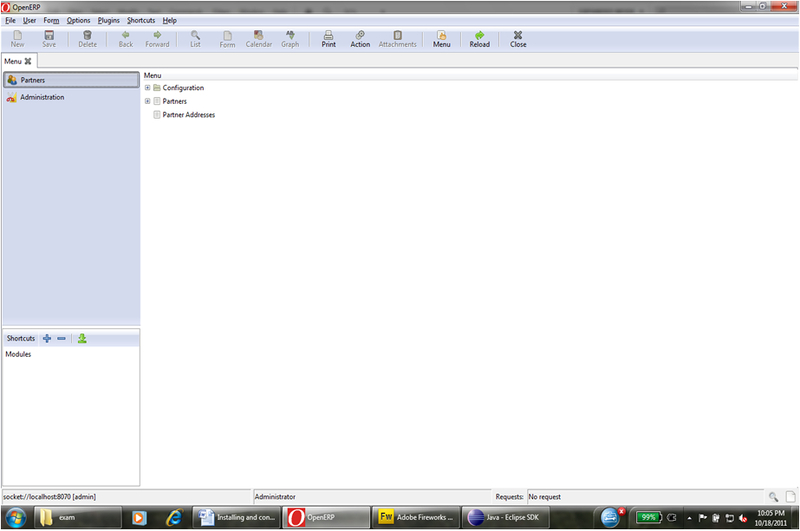 It will be a file like openerp-allinone-setup-5.0.11.exe. 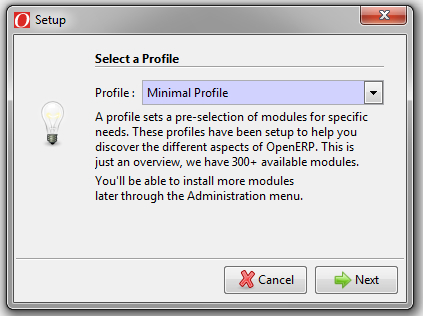 This installer will include all three major components of OpenERP i.e, OpenERP Server, OpenERP Client and PostgreSQL. 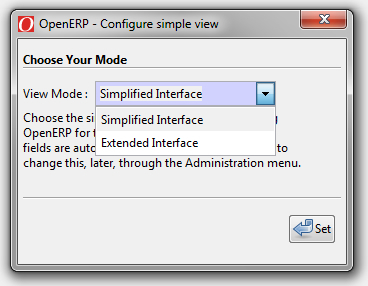 Install OpenERP by executing the exe file an OpenERP Client short cut will appear on the desktop. Click the shortcut and run the program. After Installation a screen like the one in the pic can be seen. 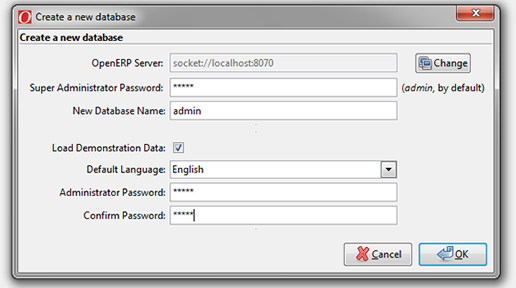 Fill the required fileds, like enter the Super Admin Password, the Database name, Administrator Password etc and click ok. After this you will be prompted that your database has been created with the user admin/admin (login/password). 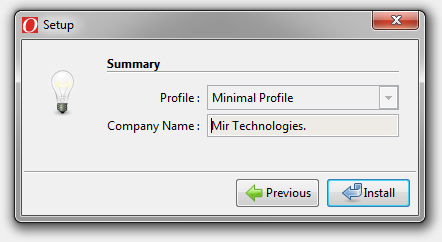 Choose Minimal Profile in the profile field and click next. 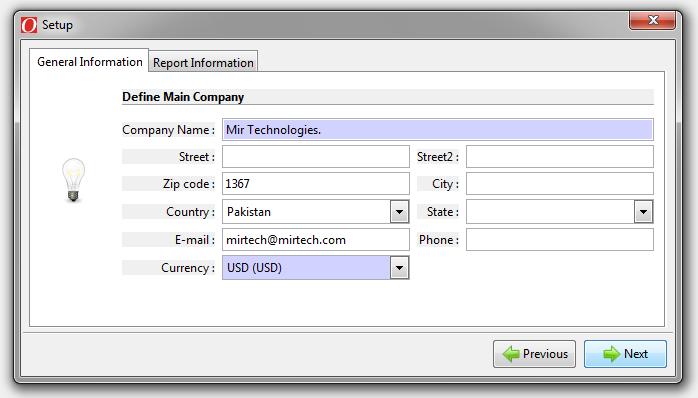 The next screen will ask you to enter your company information and your reports information. Click next. From here you will to a Summary Screen. Click the Install button from the summary screen. This will end the installation process and the configuration screen will appear. 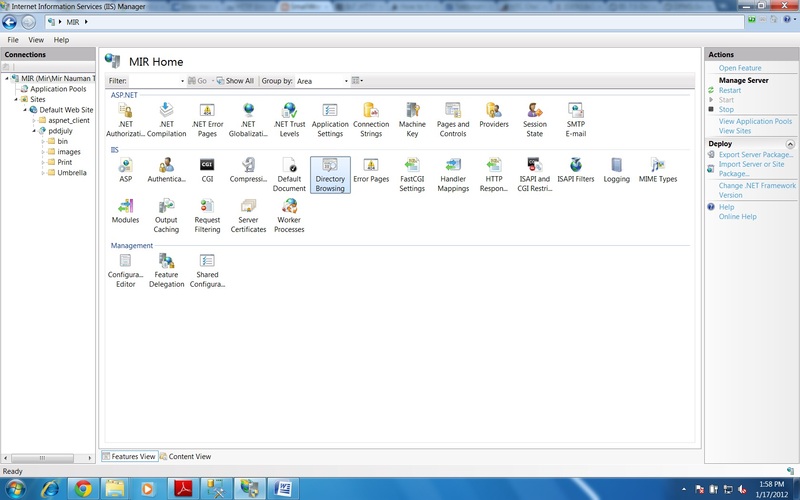 Click the configuration button to start the configuration process.Installation Done, Configuration Starts. Click continue from the next screen. 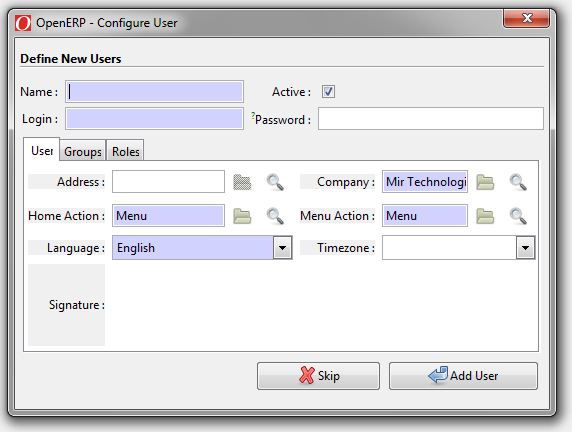 Than select Simplified Interface and click Set. Click continue from the next screen, and it will take you to user creation screen. From here we can either create a user of skip this step. Either create or skip this step. Than click continue from the next screen. After doing this we will see the following screen and with this our initial installation and configuration of OpenERP is completed.